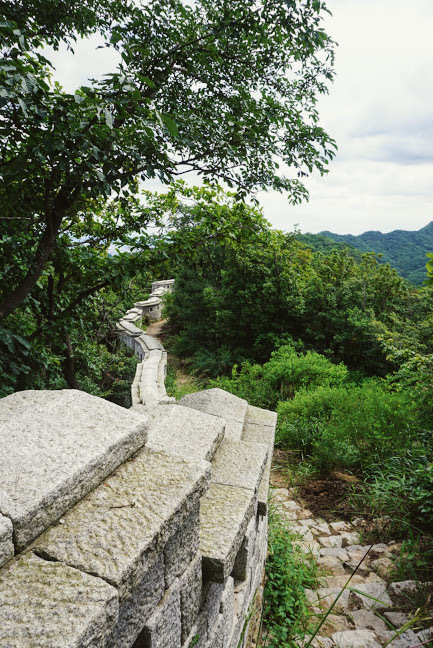 Want to find out more about hiking in Bukhansan National Park? You’ve come to the right place! 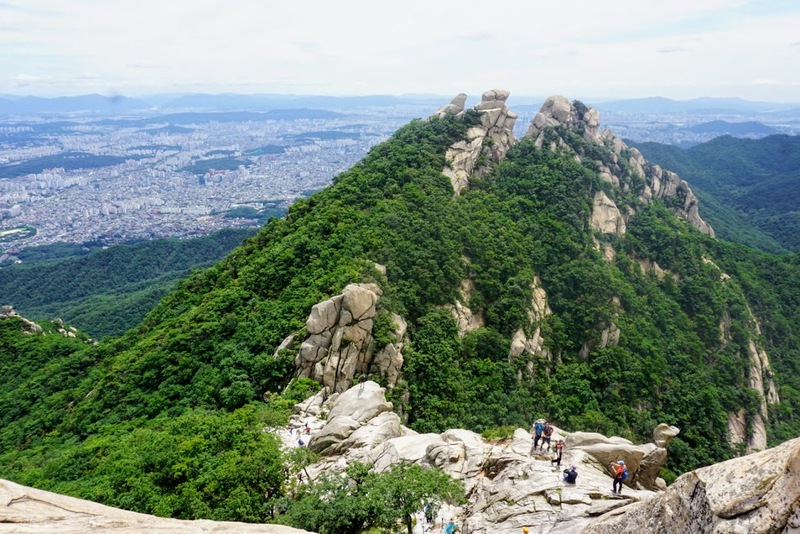 On my recent trip to Seoul, South Korea I had the opportunity to reach Seoul’s highest peak in Bukhansan National Park and it most definitely did not disappoint! 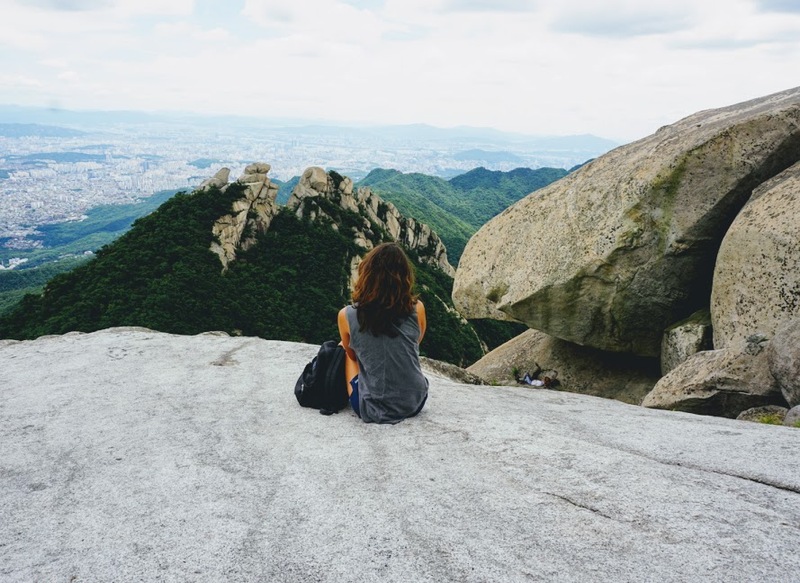 Hiking in Bukhansan National Park is a MUST DO while in Seoul! 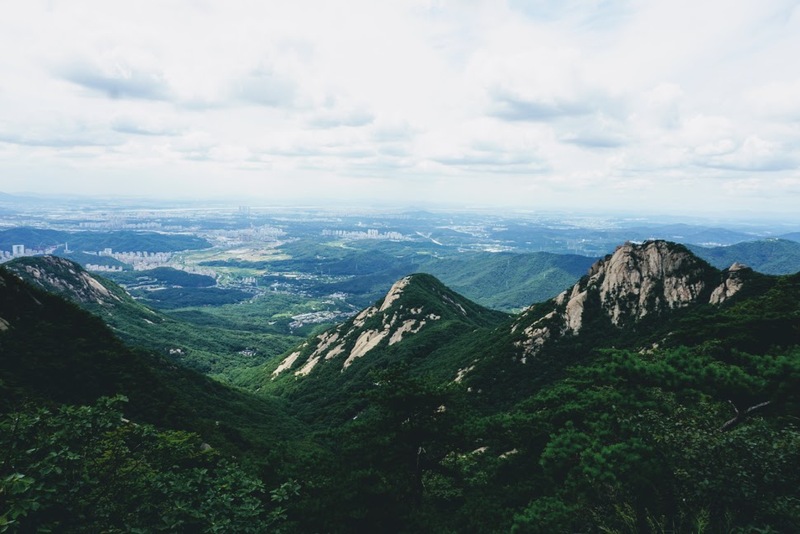 Located just north of the city, the park offers an amazing, and easily accessible, escape from Seoul’s hustle and bustle. 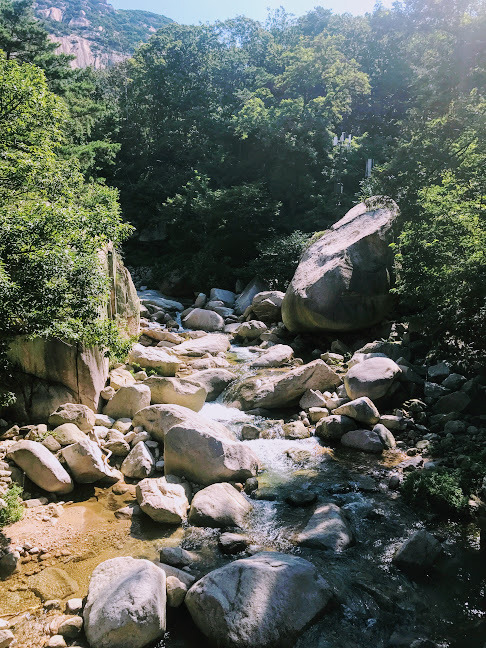 In the five days that I spent in Seoul, hiking in Bukhansan National Park was by far my favorite activity! 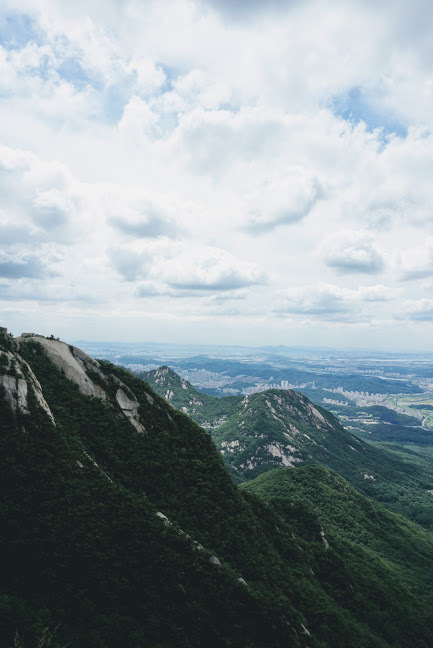 Once you reach the summit of Baegundae Peak you will feel as if you’re up in the clouds, rewarded by both city and mountain views all around. I would rate this hike as intermediate. While it is not impossibly challenging, it does require a fair bit of physical fitness. The beginning is rather flat, however the last hour is almost completely straight up! I spent a total of 6 hours to hike the 14 mile path. I entered through the Western Entrance and after reaching the summit I attempted to hike across and exit through the Eastern side, however at some point I became lost and ended up back on the Western side of the park. I think that if you enter and exit through the same side, the trek should only take between 4.5-5 hours total. I found the trail on the Western side (closest to the Gupabal station) to be well marked and very manageable as a solo hiker. You will simply follow signs towards Baegundae (Peak) throughout. The Eastern side of the park, however, I found to be not as well marked, as well as less beautiful. You will get to see some of the old fortress walls though! In order to reach Bukhansan from Seoul you can take subway line 3 to Gupabal station. From here there will be a series of buses departing for the park. I found that I simply had to follow the locals, fully decked out in their trekking gear. I must say, I was feeling quite worried when I saw how prepared all the locals were in comparison to my Nike running sneakers and cotton shorts. While it was completely doable without proper hiking boots, if you have some along then I would opt to wear those as they will provide a bit more grip for the steep areas closer to the summit. If you’re traveling during the rainy season then I would suggest bringing along a lightweight raincoat or poncho as well, as the weather can be quite unpredictable. Water – There is nowhere to purchase water along the way so it is super important that you pack enough. The sun was strong with temperatures well over 90 degrees on the day of my hike, so I finished off my first 2 liters of water quite quickly. What a scenic hike! 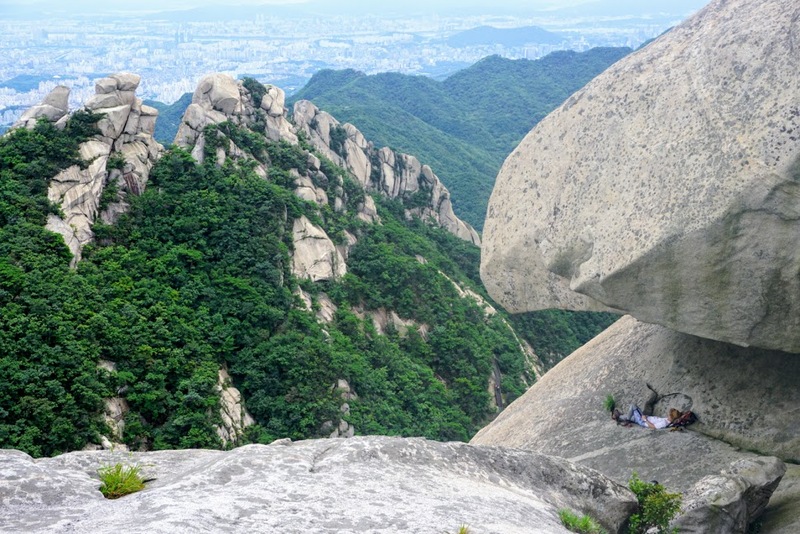 Whenever I imagined Seoul, I never could possibly imagine this hike existing anywhere close to the city. This is gorgeous. And I’m sure I too would have ended up in sneakers. 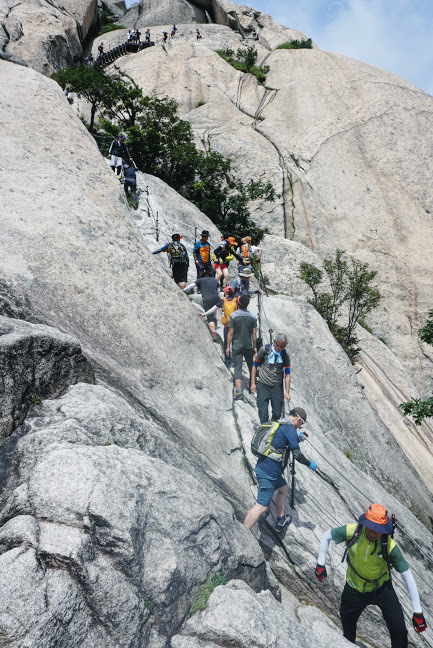 This looks like an awesome hike! I’m glad your shoes worked out. At least you had those. 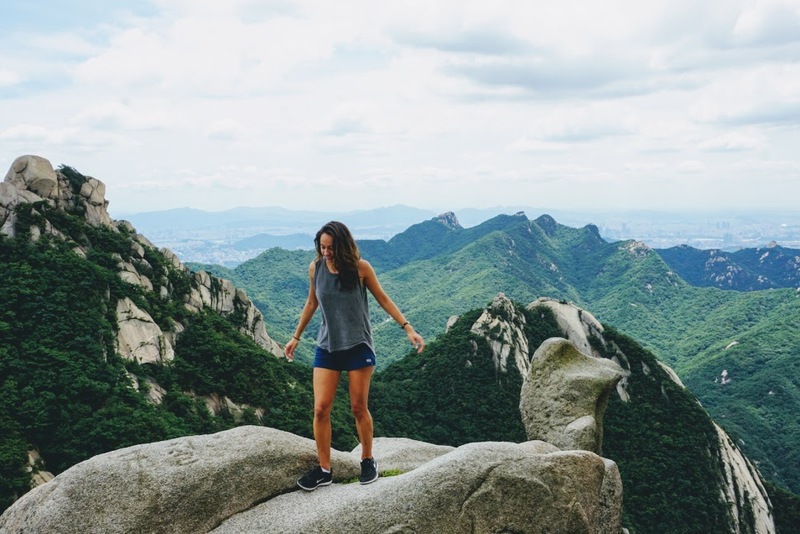 I once did a hike in China where a local was wearing high heels, which was kind of crazy. 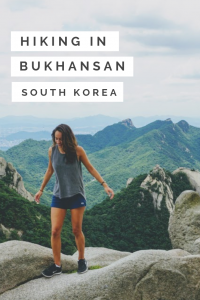 I got the chance to hike Bukhansan last spring and it was one of the best things I did in Seoul. 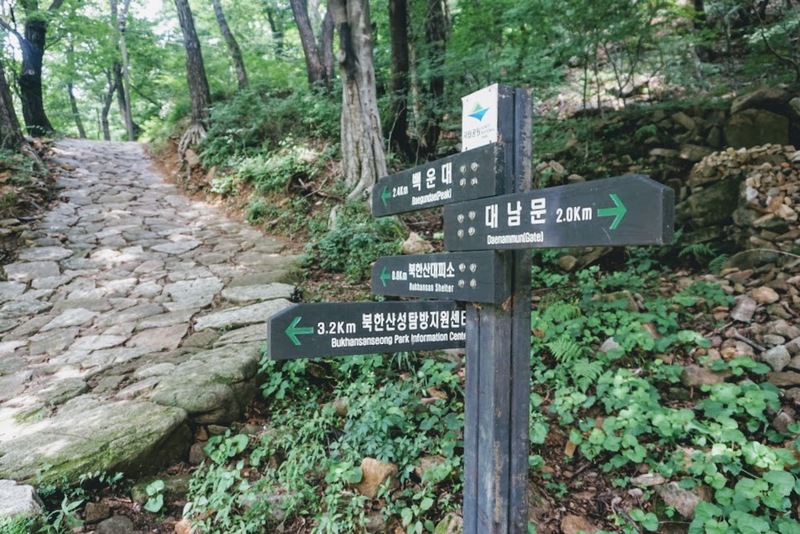 I have never imagined that I’d be hiking during my visit cos all I can think of Seoul is food and cosmetics. Looks like a beautiful hike! It’s so nice to get out of a city and explore nature like this. I haven’t been to Seoul but when I go I would love to do this! What a gorgeous and great looking hike. Thanks for providing all the necessary info one would need to take it on! 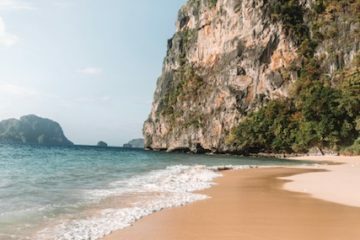 That looks brilliant – never knew this hike existed and now right at the top of my list! This hike looks beautiful. What views! I like that the signs are also posted in English otherwise I know I would get lost.